The Swazi Nahanni Shirt is one of those garments that is so simply brilliant that it makes you wonder why it hasn't been around for longer. Fortunately, Swazi have stepped forward and created this classic outdoor shirt that will no doubt become one of your go-to garments for cold conditions. For those who love the warmth and comfort of polar fleece but need that extra bit of protection from the wind, the Nahanni is for you. 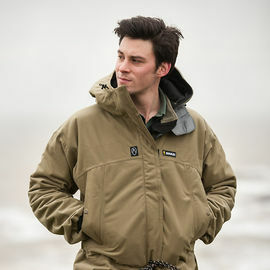 An over-the-head smock, the Nahanni has the edge over standard fleeces thanks to the excellent addition of a windproof lining to the torso and back, as well as an extra long shape to keep the wind out. An added bonus is the windproof hand-warmer pocket, which makes all the difference on those frosty days. Other features include Swazi's legendary high peripheral-vision hood, which can be adjusted or completely detached. The cuffs can be tightened for a snug fit, while the waistband can be adjusted thanks to a drawstring hidden away inside the hand-warmer pocket. Named after the South Nahanni River in the Northwest Territories of Canada, the superb natural tone of the tussock green fabric provides a neutral colour that is perfect for hunting, fishing or just being outdoors. 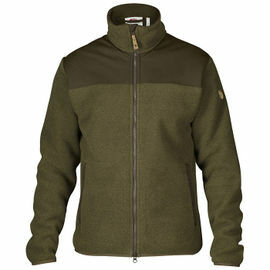 Swazi Nahanni Shirt - Tussock Green is rated 5/5 based on 14 customer reviews. Very warm and comfy, could do with a small chest pocket for phones etc. Unparalleled quality from SWAZI! Have now been testing the Nahanni in minus 30 dgrs C and this shirt keeps you warm and toasty as a second layer in these low temps. I will believe it’ll be too warm for summer use plus 15 dgrs C. Supreme craftsmanship and nice with a garment signed by the craftsman who made it inside. Hood very good with ”sleek” lining and wire inside the brim of the hood. Perfect for chilly days. Bomb proof when combined with the Tahr XP. Also functions wonderfully as a sleeping bag for an 8 year old. Fantastic quality and great service as always. I already have a Tahr Anorak and it's never let me down, absolutely brilliant. The Nahanni arrived not that long ago but I've used it already and all I have to say is: Get one. I already owned a couple of Swazi products (both bought from Woodlore) and highly rated them so there wasn't a lot of hesitation when I saw the Nahanni Shirt for the first time. I did have a couple of questions before buying and after phoning Woodlore my mind was made up. It turned up pretty quickly and I've been very happy with it. It's a very warm top and the hand warming pockets are a nice touch. I also find the removable hood handy as when worn under a waterproof jacket I'm not a fan of multiple hoods. It also comes up quite long which is nice when pulling up a cold log whilst having a break. In summary I've had quite a few dealings with Woodlore and I own three Swazi items of clothing now and I really can't fault any of them! The Nahanni is a great product and I'd highly recommend it. 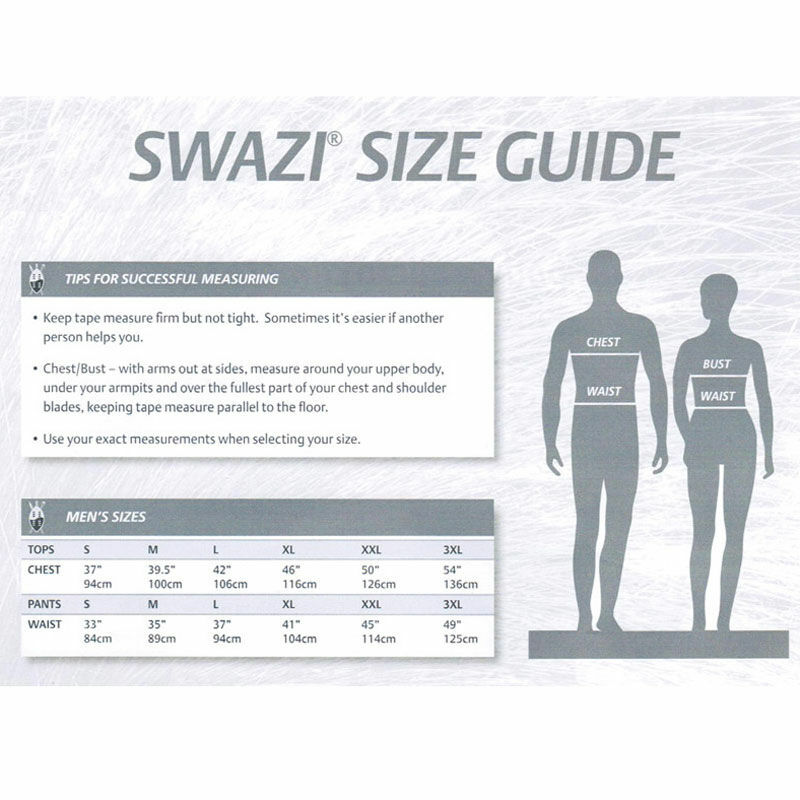 Usual Swazi quality, good combination of feeling light around the arms when working but good weight and wind proof protection around the core body area. No drafts up my back; being 63 I find a lot of garments ride up at the back. Excellent hood; not too much of it, but just enough. I had a good coastal stomp and got a bit of a sweat on, but didn't get a chill, so the fleece breathes very well. If I had to be picky the arms are a tad short for my size, but makes sense when I put the Swazi Narwhal over the top. It could do with a keeper button when the sleeves are not tightened down, so the tag doesn't flap about, but then another press fit button would make the lightweight sleeves feel cumbersome I'm sure. Overall it's an amazing fleece and very smart and presentable around town too, which is a hard look to pull off with proper outdoor wear. Only worn the Nahanni twice but first impressions are excellent. It's extremely well made and I'm sure like my other Swazi garments. it will be supremely durable. I just love the length and the whole look of the Nahanni. For bushcraft, general walking in the countryside and duck hunting it ticks all the boxes for me. A fantastic bit of kit and yet again super service from the Woodlore team. Good fit, with excellent freedom of movement; this is well designed and the quality of manufacture is outstanding. I love the press stud cuffs for extra wind-proofing and the front pocket takes a map, dog lead or, can you believe, can even keep your hands warm. 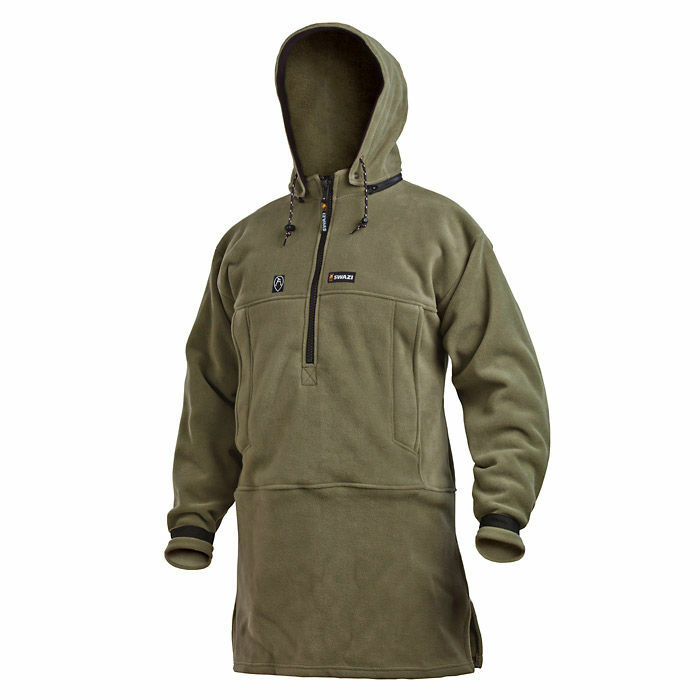 Wind-proof layer in torso and hood adds extra weather proofing but a long sleeve mid-layer would be needed in fresh conditions. 3/4 length is unusual and very effective in providing an all-round warm, functional and robust piece of kit. Get one if you love the outdoors and want that one piece that will make your experience more comfortable, without fussy, fiddly fastenings or velcro! This shirt is the business. 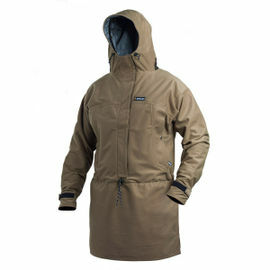 I have since bought the Aegis Tahr Anorak that goes with it and together there cannot be anything better. very happy, great bit of kit.